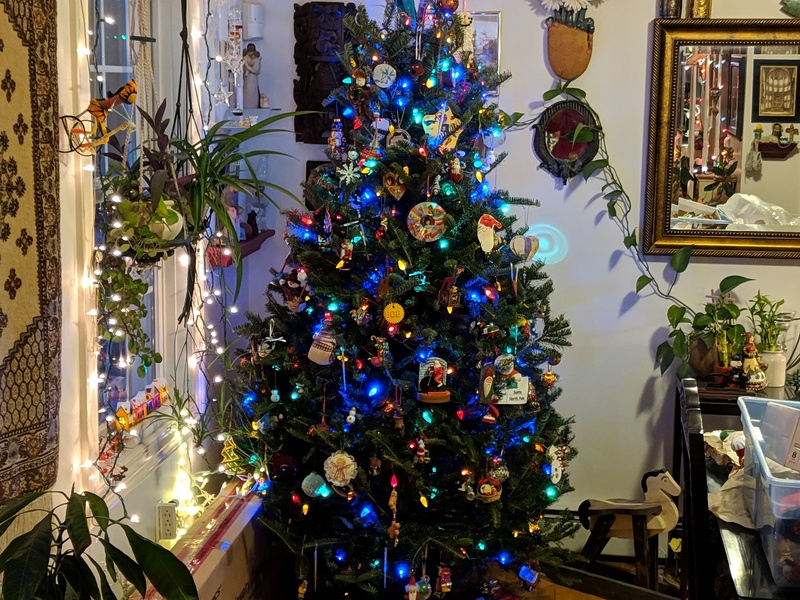 Second Of The Three 2018 Christmas Trees Are Now Decorated. Today was the day for decorating. I brought down 7 heavy totes from above the garage. That was my contribution. Teischan has gone to town. In addition to to the trees we have various Christmas displays on the main floor of the house. The lights have gone up on the 3rd (and last) tree too, but it has not been decorated.